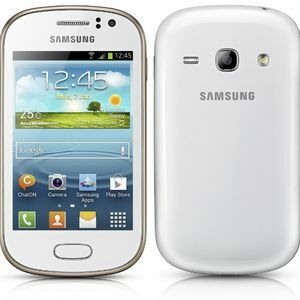 The Samsung Galaxy Fame is a low-end device, released in February 2013. The Fame features a 3.5" HVGA (320 x 480) TFT display, 1GHz Cortex-A9 processor and 512MB of RAM. Internal storage comes in at 4GB, which can be expanded by up to 64GB with a microSD card. It has a 5MP camera, and is powered by a 1300mAh battery.